A political group advocating for now-Gov. Gretchen Whitmer during her campaign has agreed to pay a $37,500 settlement and close down after Secretary of State Jocelyn Benson found that it violated state campaign finance law. Build a Better Michigan agreed to pay the fine and dissolve within 60 days after Benson’s office alleged the group violated the Michigan Campaign Finance Act by advocating for Whitmer during her campaign for governor. 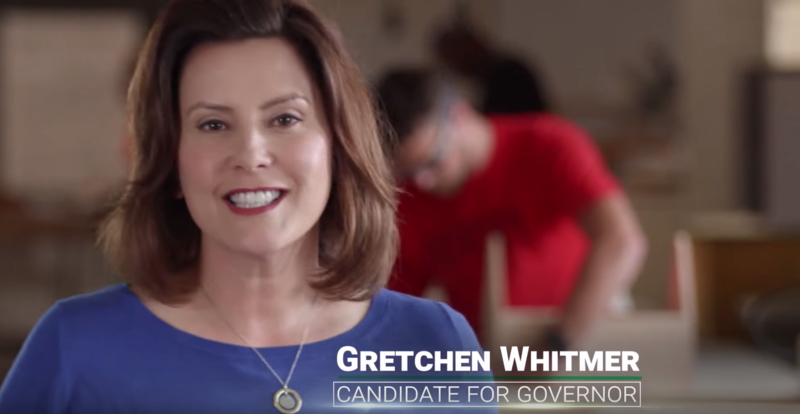 Benson characterized two TV ads that aired before the Aug. 7 gubernatorial primary as “express advocacy” for Whitmer, although the group considered them issue ads. In Michigan, issue ads do not have to be disclosed under state campaign finance law. The videos were part of an advertising push worth millions, according to the complaint filed by the conservative Michigan Freedom Fund complaint. Build a Better Michigan spent more than $2.4 million in 2018, federal disclosure reports show. An investigation into the advertisements began under former Secretary of State Ruth Johnson, a Republican, after the Freedom Fund issued complaints. She wrote in the letter, “I believe a reasonable person viewing the advertisement in question in its entirety would likely conclude that it expressly advocates for the election of the identified candidate. As such, it is my determination that the advertisements at question in this complaint advocated for the election of a clearly identified candidate using express words of advocacy,” as defined in state law. Build a Better Michigan deny any alleged wrongdoing, but agreed to the settlement. Whitmer’s communications director, Zach Pohl, declined to comment. But Republicans and a conservative group are criticizing the fine as being too light. Michigan GOP spokesman Tony Zammit said it constitutes 2 percent of what the group spent on “illegal ads.” He again bashed Benson for alleged “backroom” deals, something Republicans alleged during a federal lawsuit claiming gerrymandering in Michigan’s redistricting process. The Michigan Freedom Fund called the fine a “slap on the wrist” in a statement released Friday.